Baby-proof your iPhone with Guided Access: locks home button and screen for videos and apps! Sometimes, parents need to resort to technology to keep babies, toddlers, and even big kids happy in certain situations (long dinners, road trips, or lengthy waits at a doctor's office, to name a few). Am I the only one who had no idea you could lock the home button on an iPhone and iPad for uninterrupted videos for baby/toddler? About six months ago, I found an app called Baby Lock, which allows me to pull up various YouTube videos and lock the screen so Andrew couldn't pause the video. It worked for a while... until he found the home button. Since the home button is the only button on the face of an iPhone or iPad, it captivates the attention of small inquisitive children and, apparently, they cannot stop pushing it! This rendered my Baby Lock app somewhat useless. I recently discovered Guided Access, a setting in iOS6 or greater. This is the best iPhone (or iPad) find for a mom so far! I can open any app on my device and set what I'd like to lock. For apps where he needs to touch the screen (like my favorite Fisher Price Laugh & Learn app), I can allow touch but lock the home button. For a video, I can lock everything so he cannot manipulate the screen, the home button, or even the volume. Best iOS discovery yet! Disclaimer: I am not a trend-setter, trend-follower, or trend-y. Propane in the grill - because, thank goodness, it is finally the time of year to make the husband cook. Not that I can't grill (girl power! ), I just let him do it. Letting someone cook for me? Yeah, I am never going to complain about that. Capri pants - no certain brand, just comfortable capris to keep me cooler than in jeans without subjecting innocent bystanders too much of my white, white legs before summertime. Prescription sunglasses - I'm a glasses wearer (ditched the contacts a few years ago to support my little girl in glasses) and I cannot survive the sunny days without my Rx shades. Spring means a lot of time outdoors! I understand that many 30-something ladies may have a much more elaborate brand-name-filled list, possibly with a toolbox full of favorite beauty tools and some fabulous looking attire that costs more than most of my entire wardrobe. This working mama of two follows few trends on purpose. As an active social media user and consultant, however, I am online a lot. I see all the hashtags and pins and Instagrams of the latest and greatest whatevers out there. Some of them, I understand. Like coffee, for instance. Moms like to talk about coffee on social media because (1) it is the fuel of life: we need it to survive our children and/or coworkers and whomever, whatever else is vying for attention, and (2) we want you to know just how tired we are. We drink the coffee to survive, and we talk about it to bond. Coffee is trendy. Wine too. Those, I understand. Pass the mugs and glasses, please. I'm all in. 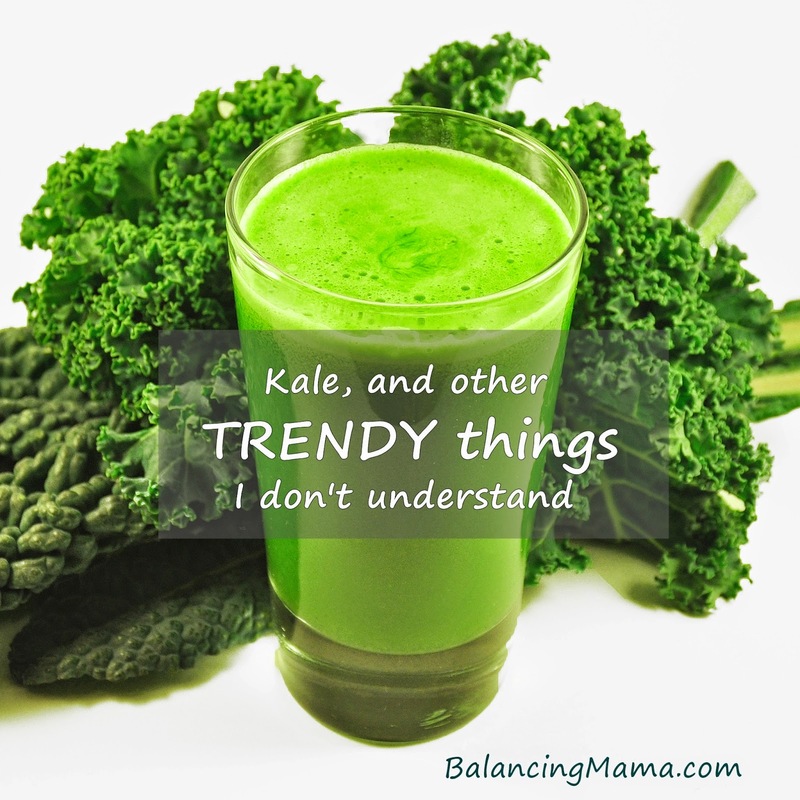 Seriously, the barrage of "OMG, can't wait to have my kale salad" and "kale chips are the best snack ever!" posts on social media had me fooled. I began to think that, perhaps, someone finally found a green vegetable that tastes like a potato chip! I was ready to throw myself on that bandwagon. I let my one-year-old watch TV. Every day. Sometimes, he watches TV while wearing a big hot pink hat. I acknowledge that the American Academy of Pediatrics recommends no television up to age two. I have the utmost respect for the parents who are able to live up to this standard, but how on earth do you do it? Andrew watches an episode of Sesame Street each morning. I need a few moments each day of peace. Otherwise, he literally clings to my leg. He is content watching his educational programming and I can begin my day with a little bit of sanity. Because, honestly, I will have little sanity remaining by bedtime. Yes, the television is also on when Big Sister gets home from school. 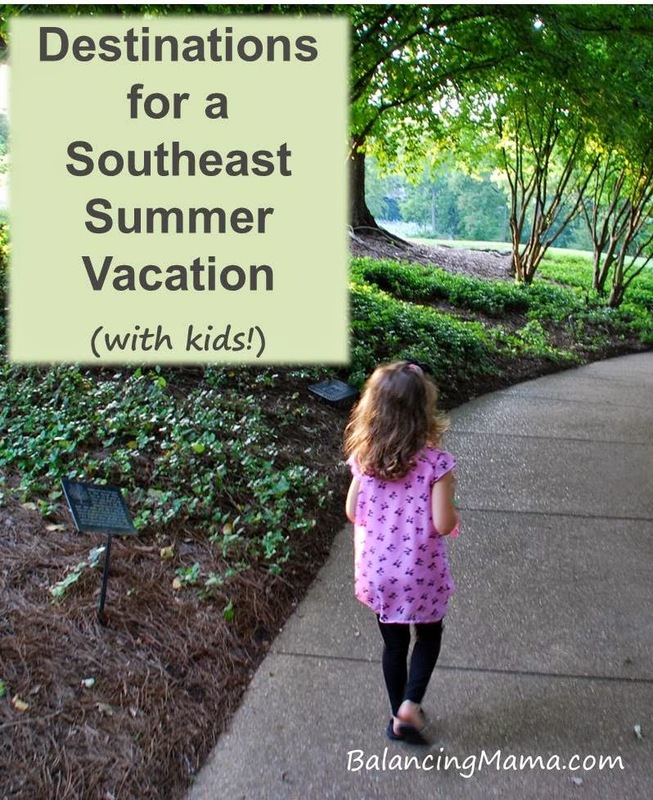 She usually wants to relax for a bit with a PBS or Disney Junior show while having a quick after-school snack. She is totally adored by her little brother, so keeping him in a separate room isn't going to happen. He smiles and giggles and climbs on her, watching whatever she happened to turn on. In this household, we try to limit television and other screen time. The television is not turned on unless we are actually watching something. It is never background noise, unless it's on a music-only channel. I give both children my attention as often as I can; the television is not a substitute for human, family interaction. It's just a tool to take a break sometimes. Or a couple times a day. We spend a lot of time during the day doing other things too. We do chores. He plays in the kitchen cabinets. We get fresh air outside in the yard or on the deck. We go to playgrounds. It is a busy and fun life... and a little TV never hurt anyone. That's my humble opinion, anyway. No plans? Then I have a suggestion! 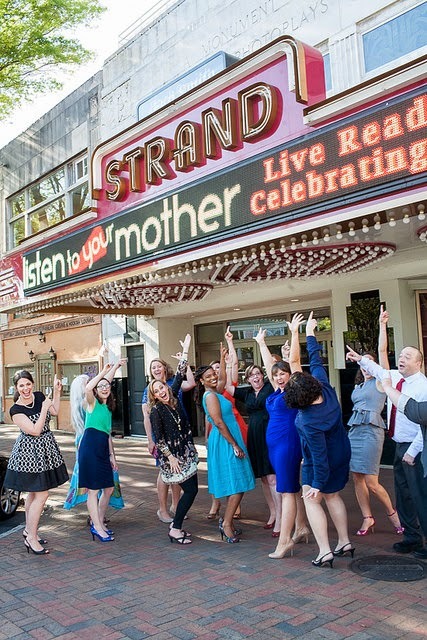 Come out to Marietta to support amazing, inspiring, funny, story-telling mamas at the Listen To Your Mother Atlanta show, taking place one night only (April 25, 2015) at the Earl Smith Strand Theatre. Listen To Your Mother features real-life writers and mothers who come together to share "the beauty, the beast, and the barely-rested" of motherhood. I still hold a love of acting somewhere inside of me, and I would have loved to be part of this show. But alas, Listen To Your Mother is real, not acting, and I chickened out of the auditions. I am so excited to see a few fellow local blogging friends in the cast, though! 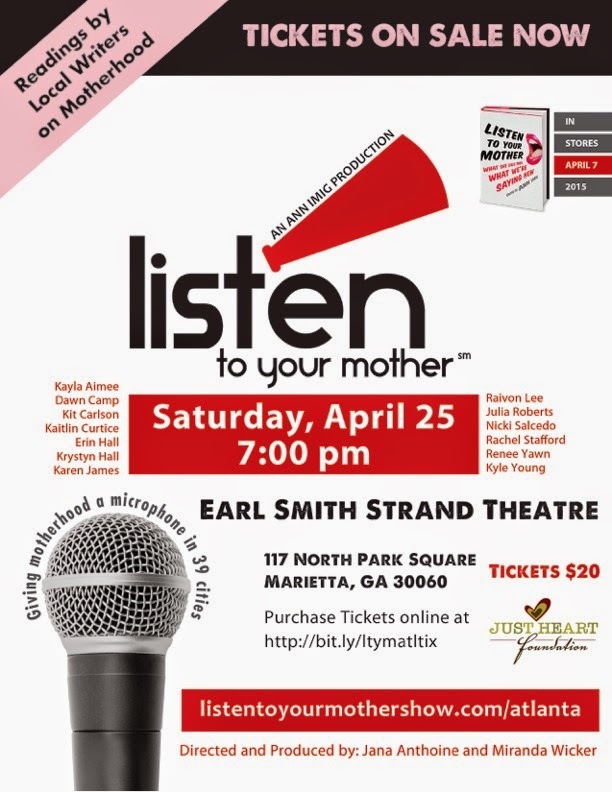 Listen To Your Mother began with one show in 2010 and has grown quickly; the 2015 Listen To Your Mother shows are scheduled in over 30 cities this year! The Atlanta show is April 25th and tickets are on sale now! It is going to be a wonderful evening of inspiration, laughter, and probably a few tears. I do not hide behind a veil of Pinterest-perfect. So when the adorable Room Mom suggests a "cute little take-home treat" to accompany the cupcakes for your daughters' shared birthday? I have a moment of panic. But then I kick it into my BalancingMama gear. I have a huge to-do list, questioning clients, and a young toddler clinging to my leg and grabbing the computer, but I will get it done. My misson: cute, sweet, and no baking involved. 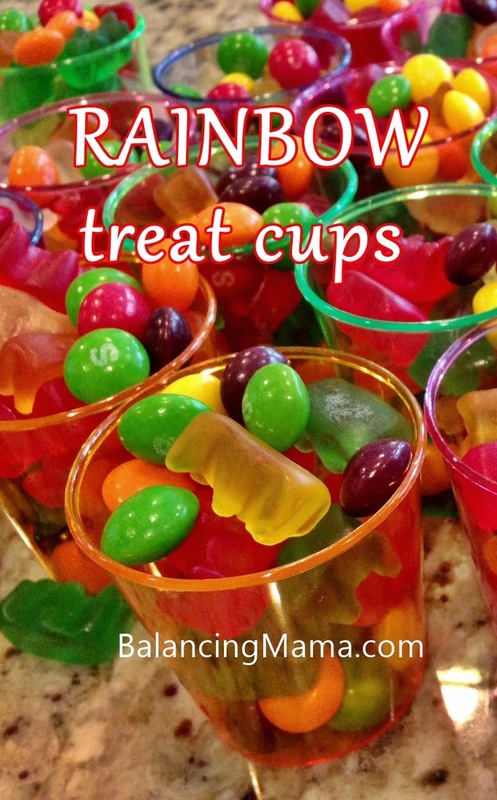 If you need a really quick, classroom-friendly, colorful treat for a birthday, try these adorable Rainbow Treat Cups. I made 24 happy little rainbow treat cups for Amelia's birthday celebration, and it took about 20 minutes. Amelia is thrilled with the cute size and colors (and gummy bears are her favorite!) The treats are peanut-free and school-approved. You could make all kinds of kid-friendly treats and desserts with disposable shot glasses. I will be using them again! Semi-homemade treats? Check! It is another mission accomplished for this BalancingMama. 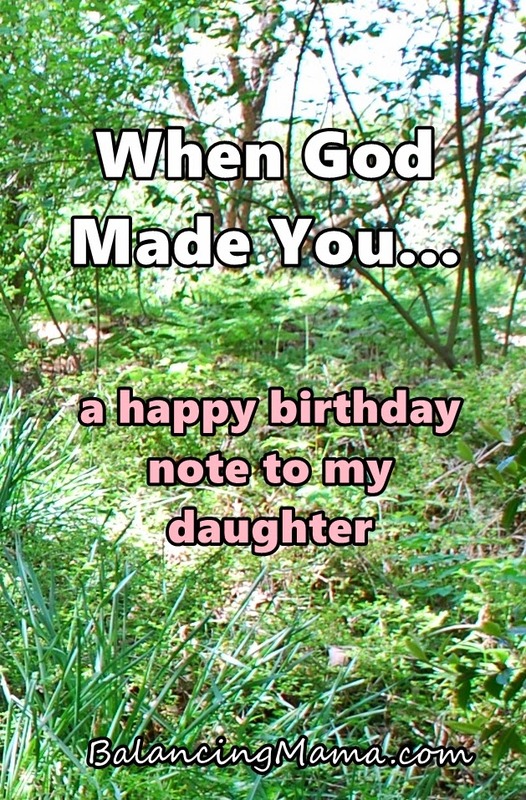 Happy 7th birthday to my sweet and creative little lady!